One of the five pillars of Islam is that all Muslims must make the pilgrimage to Mecca at least once in their lifetime, if they are able to. A new exhibition looks at the origins of the Hajj, how it has evolved throughout history, the logistics of managing up to three million pilgrims and why there is such spiritual and emotional significance attached to the Hajj. Many Muslims save up for their entire lives just to afford a single pilgrimage to Mecca. The exhibition features archaeological objects, manuscripts, photographs and artworks highlighting the history and rituals of the Hajj, and the impact it has had on different cultures. As Mecca is officially not accessible to non-Muslims, this exhibit offers a rare insight into the Hajj that you would be hard pressed to find anywhere else. 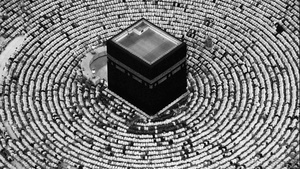 Hajj: Journey to the Heart of Islam is at the British Museum from 26 January to 15 April 2012. Adult admission is £12, admission is free for children under 16.